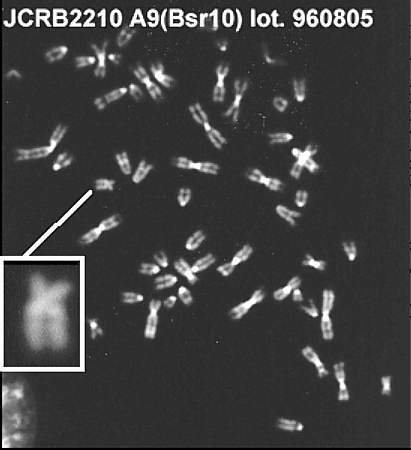 93.3% cells included intact human chromosome #10 at deposit. 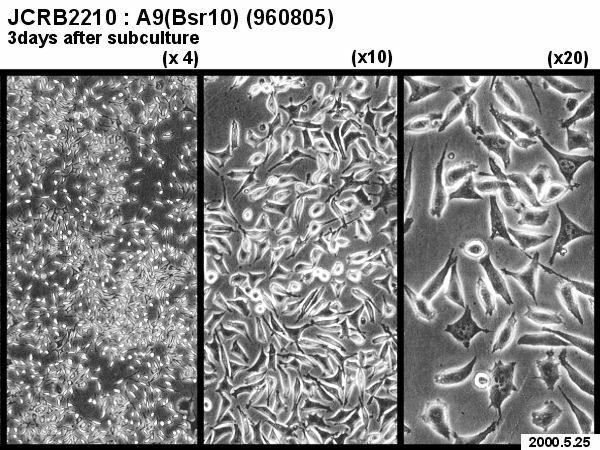 skin fibroblast, AG-r. Cells include human chromosome #10. 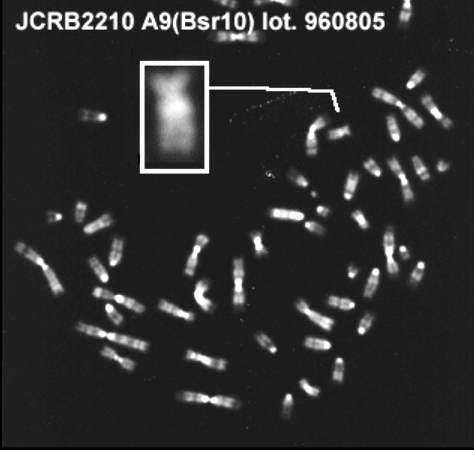 Human chromosome was selected by blasticidin. Tagged site 10q22. 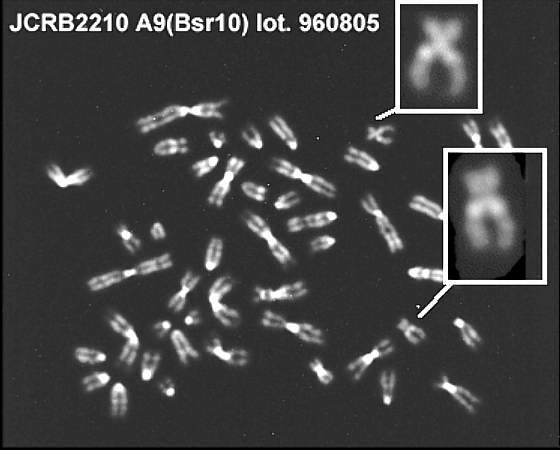 The human chromosome #10 is derived from the cell line established at Tottori University. 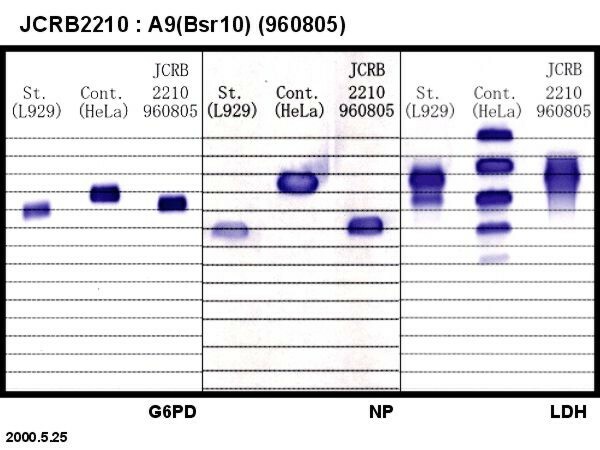 Dulbecco's modified Eagle's medium with 10% calf serum and 3 umg/ml Blasticidin S hydrochloride (Funakoshi, 92-1).